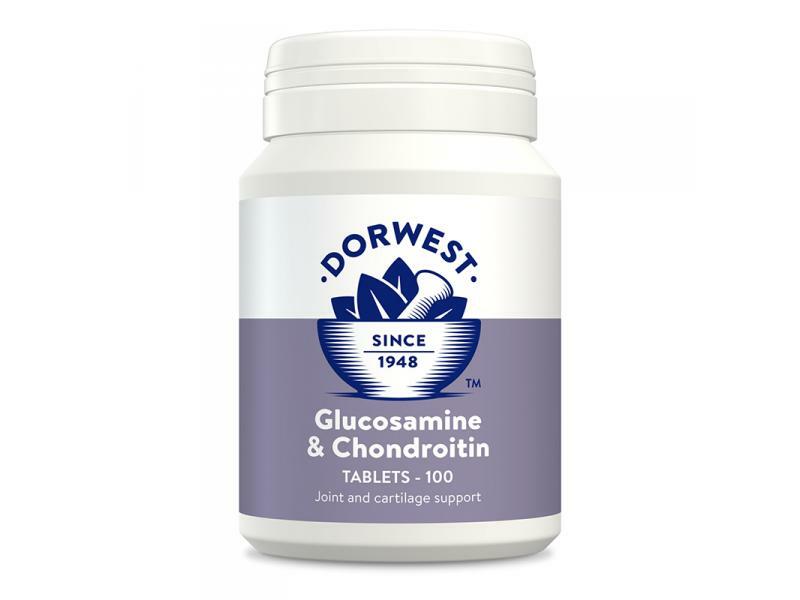 Glucosamine & Chondroitin tablets are a popular joint supplement which uses top quality Glucosamine hydrochloride (HCL) because it is better absorbed by dogs and enhances the body's ability to manufacture collagen and proteoglycans. These are essential for promoting normal joint function and health. We have chosen not to add lots of additional things into this formulation but to simply produce a top quality supplement with pharmaceutical grade Glucosamine and marine based Chondroitin sulphate. Glucosamine HCL 400mg; Chondroitin Sulphate 200mg (marine source). Small dogs & cats 1 tablet; Medium dogs 2 tablets; Large dogs 3 tablets; Giant breeds 4 tablets, reducing to half this amount after one month. 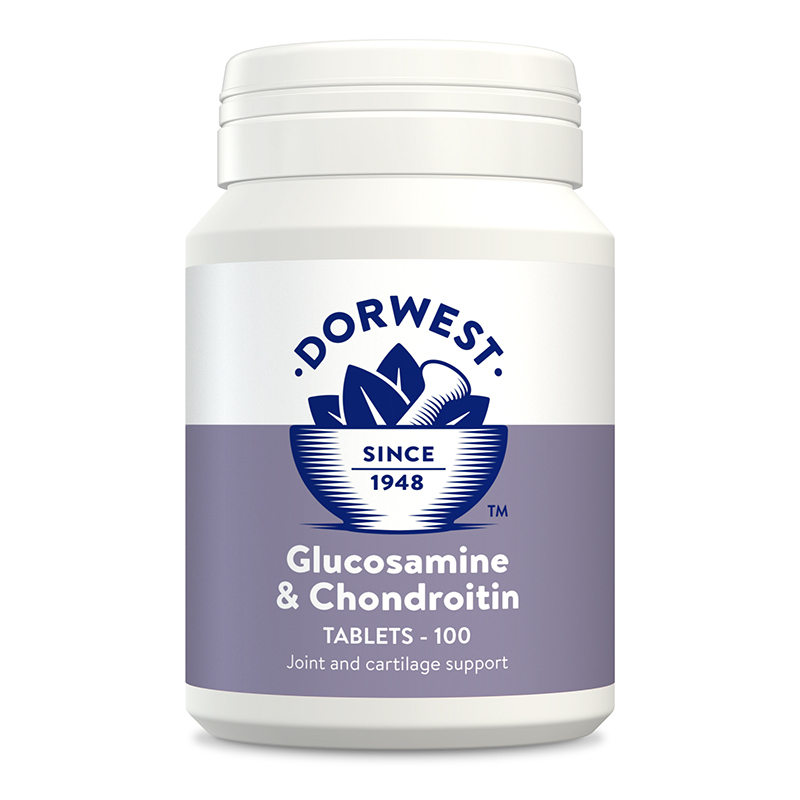 Below are some recent questions we've received regarding Dorwest Glucosamine & Chondroitin Tablets for Dogs & Cats, including answers from our team. How many tablets per day for an 18kg dog? An 18kg dog would need 2 tablets daily for the first month reducing to a maintenance dose of 1 tablet daily thereafter. It is safe to continue on this supplement longterm. Are the capsules liquid, if so how would I administer the daily 1 1/2 a day doses? These are available in tablet form, which can be divided into halves for administering 1 1/2 daily.